So, I haven't been able to share complete projects with you because I am working on my book, but I figured a couple of sneak peeks would be fun. First things first though, I am completely distracted by beautiful fabric. If you know me, it's been hard to keep bundles of fabric in my studio. I end up giving them away because I can't get to the projects away. So, I have made myself a new goal! 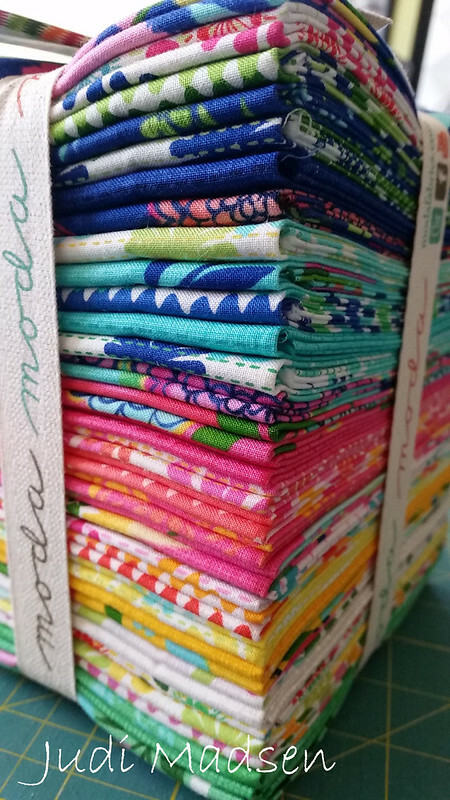 The goal is to keep the fat quarter bundles that I can't live without. I do, after all - co-own a quilt shop. ;-) Good Karma is one of those bundles I can't live without, isn't the fabric just gorgeous? It is sitting in my studio just looking pretty and waiting for the project to be made into. So, this is my first sneak peek. Gorgeous, eh? I finished last week and the quilt turned out fantastic, and huge! I don't know why I made the quilt so big, but I am happy to be finished with it. I can't wait to share the entire project with you, but you'll have to wait. It will be worth it, I promise. To keep my own sanity in the studio, I always try to have a "want to" project going. 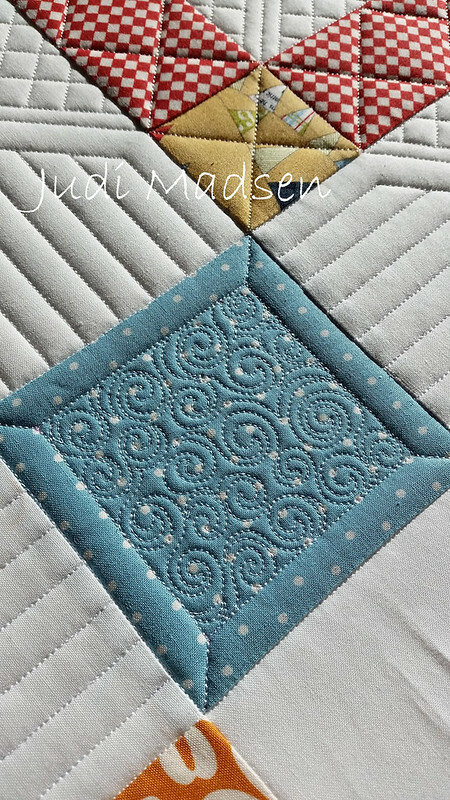 This want to project is the Metro Medallion quilt by Sew Kind of Wonderful. I am going to make a queen size quilt for my bed. I am looking to update the colors in my room and I love the colors I have chosen for this project. 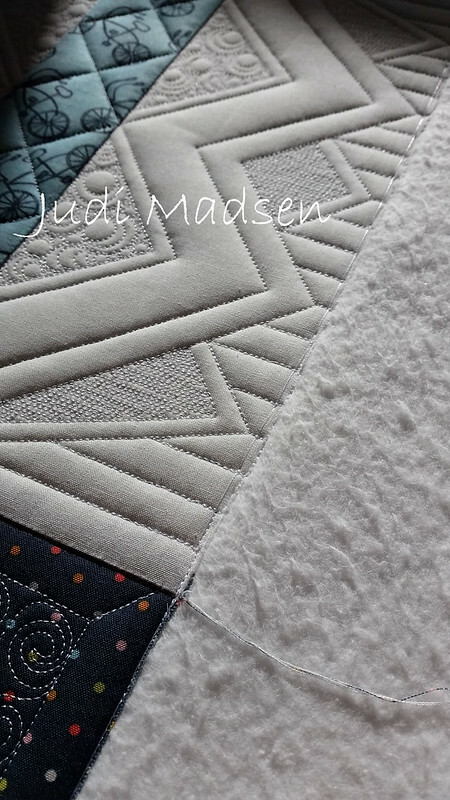 You can also see another peek of one of my other quilts for my book. Life is busy, but it sure is fun. This little boy is the light of my life - his father's too. We are so happy to have another year with him home while his older siblings are in school. 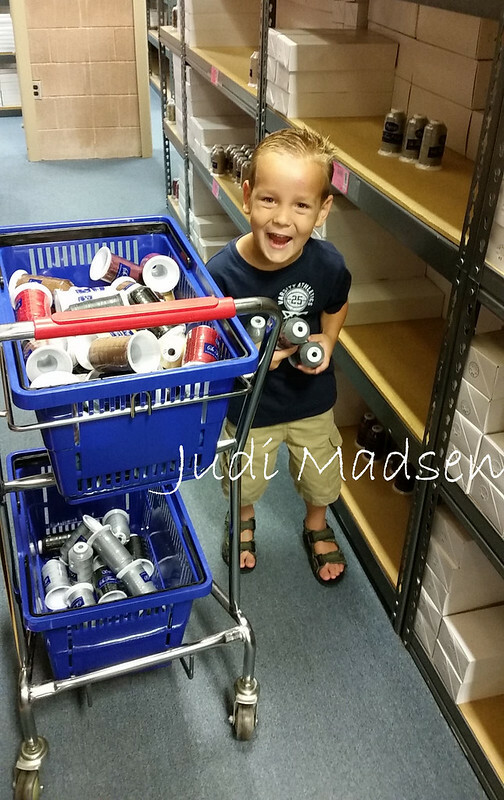 This picture was taken last week when we went to Superior Threads to get thread for our customers. He was so helpful. He looked for the numbers on the So Fine thread, I told him how many to put in the basket and he pulled the whole order for me. It took twice as long, but it was so worth it. Love this boy. I hope you are enjoying October so far, I can't believe it is October already. Time moves too quickly, but we are doing our best to enjoy the journey.